When the members of the organization, communicate with each other, it is called as internal communication. However, when there is a communication between members of the organization, with the outside party, it is said to be external communication. These are two types of communication, which can be seen in the corporate world. This article excerpt will provide you all the important differences between internal and external communication. In the process of management, communication plays a preeminent role because, in the absence of effective communication, no superior-subordinate relationship will thrive as well as employee’s commitment towards organization also depends on it. It is the transfer of information between two parties, which can take place, with or without the use of words. The two types of communication are very important to the success and growth of the enterprise. Meaning Internal communication implies a communication that takes place between the members of the organization. The type of communication that occurs between the organization and external party/organization is known as external communication. Objective To transmit information between various business units and departments. To maintain relationship or exchange information with the outside parties. Participants Employees and Management Customers, shareholders, investors, clients, general public, suppliers, creditors, etc. Flow It flows within the organization. It flows in the vast business environment. Formal Communication: Communication that passes through predefined channels is formal communication. Informal Communication: Communication that flows in all directions and that arises out of social and personal needs is informal communication. Internal Communication works to establish and disseminate the objectives of the undertaking, developing plans for accomplishment, organizing the resources in an optimum way. It assists in selecting, training and appraising participants within the organization. It is a business tool which leads and motivates the employees to put their best in the job. Internal Communication uses memo, circulars, staff news letter, fax, notice, minutes on meetings, video conferencing, presentations, seminars, agenda, manuals, etc. as a mode of communication. External Communication can be understood as the sharing of information between the company and any other person or entity from the external environment, i.e. customers, suppliers, investors, clients, dealers, society, government agencies, general public, etc. In general, external communication is formal and largely documented. External Communication determines the way organization connects or disseminates information to the audiences external to business. These have a great impact on the minds of stakeholders, as their opinion about the company, brand and its variants largely depends on it. It focuses on facilitating cooperation with the groups so as to build and maintain good public image through relationships. Advertisements, customer’s feedback material, service calls, press releases, invitations, circulars, price lists manuals, customised reports, etc are some of the methods of external communication. Internal Communication refers to the communication which takes place among the participants within the business organization. On the contrary, external communication is a communication that occurs between the organization and other individuals, groups or organizations. Internal communication can be formal or informal but external communication is mostly formal and highly documented. Internal communication aims at transmission of information between various business units and departments. Conversely, external communication focuses on maintaining relationship or exchanging information with the parties external to the business. The participants of internal communication are employees and the company’s management. As against this, the parties to external communication include customers, shareholders, investors, clients, general public, suppliers, creditors, etc. 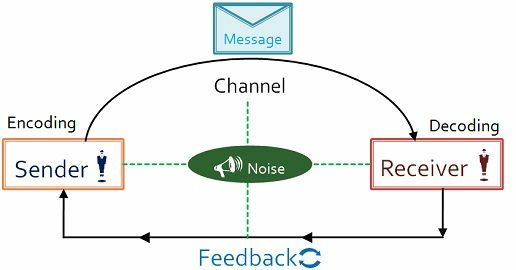 Both internal and external communication are regular but the frequency of internal communication is relatively higher than that of external commnication. Internal communication flows within the organization, whereas the external communication flows in the vast business environment. All in all, internal and external communication are vital to the business for its effective functioning. The former is used to guide, inform and motivate individuals to work efficiently for the success of the organization. The latter helps in presenting a good image of the business to the public. Highly useful for students concerned. Students with real commitments to studies will find these materials highly useful for academic purpose.